So what makes Pittsburgh special? The people, for sure. "We're too nice," I'll lament during the occasional traffic jam when cars gridlock intersections - and nobody but nobody blows the horn. But, hey, I'll take nice, patient people over mean, impatient people any day of the week. To be clear, nice people are but one of many, many fine attributes that make Pittsburgh "someplace special" - which was, by the way, a tagline for KDKA radio in the 1970's. KDKA was a pioneer in radio broadcasting, with the first public broadcast in 1920! See? Only in Pittsburgh! Pittsburgh is so special that Uber introduced a fleet of self-driving cars here last year, marking the world's first city to let passengers hail, via smart phone, autonomous vehicles. And, yes, so unique are we that the engineers had to program the special "Pittsburgh Left" into the system...but hey, that's just smart engineering given Pittsburghers' propensity to be nice albeit aggressive when making left hand turns! So what else is uniquely Pittsburgh? Here's a short rundown of a few of my faves. For the whole story, check out the brand-spanking new 2017 Official Visitors Guide to Pittsburgh. You'll find "Only in PGH" nuggets peppered throughout the unique, 130-page guide. 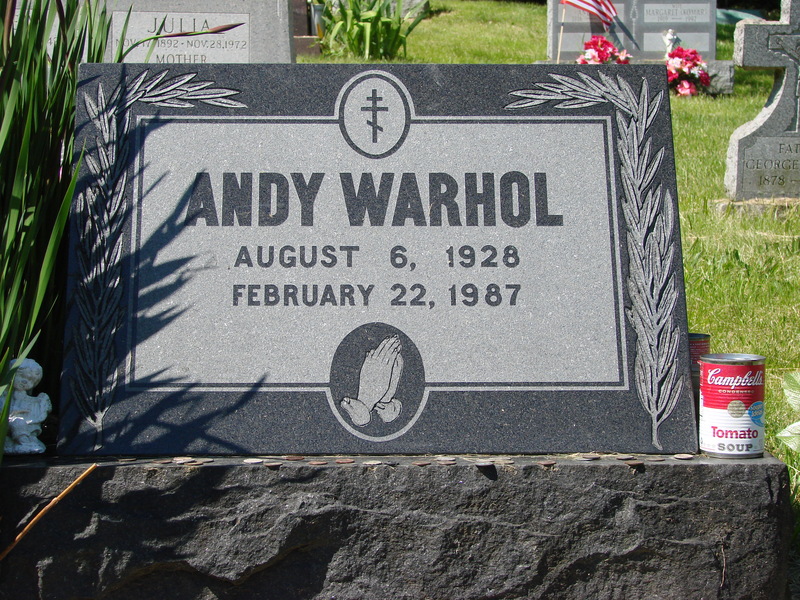 I'm a fan of cemeteries, so it's no surprise that I think it's cool that Pittsburgh native Andy Warhol is buried about nine miles south of Downtown at St. John the Baptist Byzantine Catholic Cemetery. But that, as awesome as it is, is simply not quite awesome enough. There's this: An art project – dubbed "Figments: Conservations with Andy" – lets you live-stream Warhol's grave, which documents visits to the grave site. Somehow, I think old Andy woulda really loved this idea. 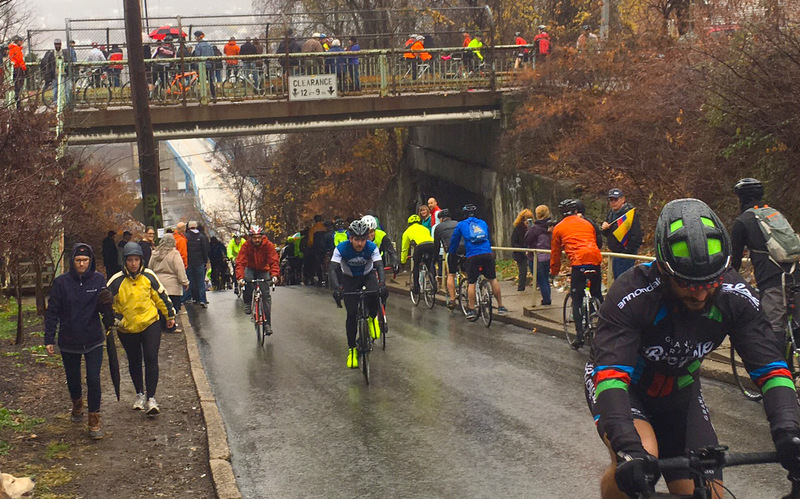 The aptly named and sometimes scary to drive around South Side Slopes has 68 sets of public stairs for a total count of 5,447 steps. You'll find some of the most colorful steps in the world along Josephine Street. With 77 step risers made to form a mosaic of a young woman overlooking the hillside neighborhood, trekking up the steps was never so beautifully hard. 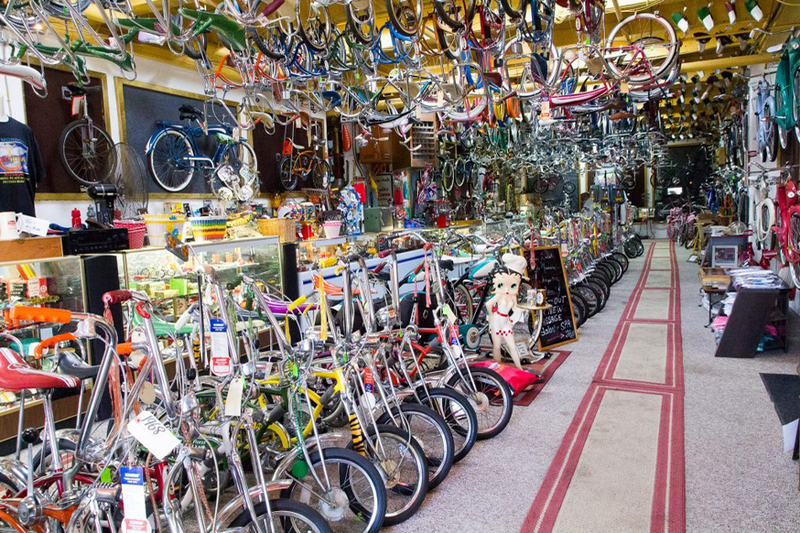 Billed as the country's largest bicycle museum and bike shop, Bicycle Heaven boasts some 3,000 bikes, vintage and otherwise, under one roof. Check out the Pee-wee Herman bike from the movie Pee-Wee's Big Adventure! And, as Luka Bloom used to sing in the song, The Acoustic Motorbike..."Pedal on, pedal on, pedal on for miles." Yup, pedal on to a little piece of Bicycle Heaven. 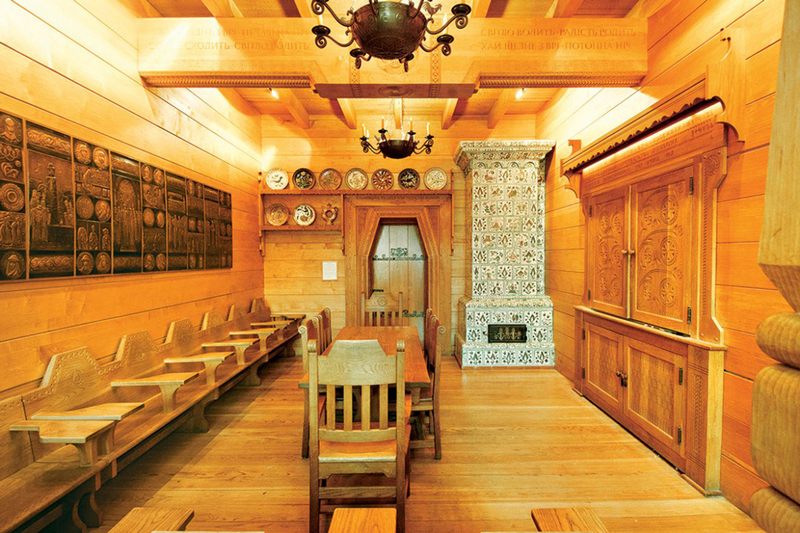 Moving right along to take a self-guided tour of the Nationality Rooms in the University of Pittsburgh's Cathedral of Learning – only one of the coolest buildings in the country, IMO. The 30 classrooms are designed to represent the culture of the various ethnic groups that settled in the region. And that there sentence just doesn't do the Nationality Rooms justice. Like at all. No live streaming here, you just gotta see it for yourselves. And you'll be happy you did. On the food front: Smallman Galley is a restaurant "incubator" that gives four young chefs the space they need to develop their own concepts at this absolutely innovative, and absolutely delish urban eatery. It's like a food court for grownups...there is, after all, a bar where you can imbibe. 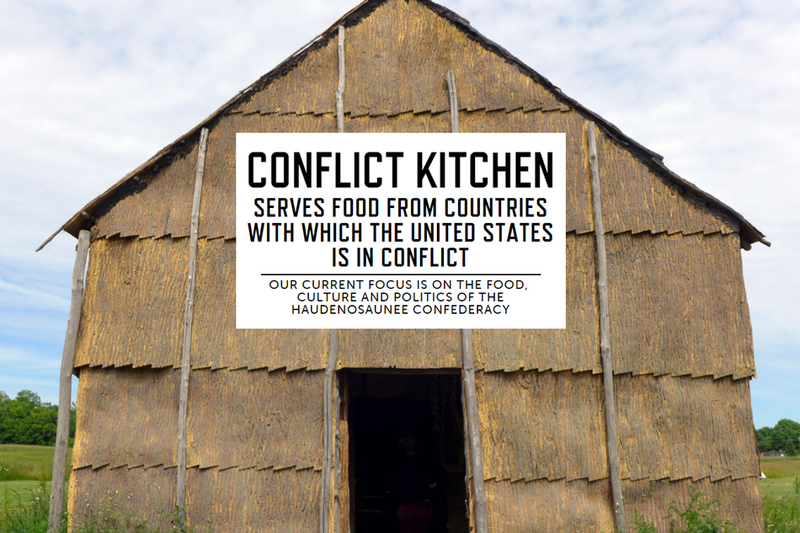 And Conflict Kitchen is a unique carry-out restaurant that only serves cuisine from countries with which the United States is in conflict. One thing is for sure is that you won't be in any trouble if you just look up when you're at Pittsburgh International Airport to see Alexander Calder's "Pittsburgh," a massive mobile and mighty impressive piece of art that floats above in the airport. In 1958 the piece was awarded first prize in sculpture at the Carnegie Institute's Bicentennial International Exhibition. Pittsburgh is a mighty special place. And I could go on and on...One of the last remaining wooden streets (Roslyn Street) in the country is found in Shadyside. Randyland. The Dirty Dozen Bike Ride. The cookie tables at weddings. OMG the cookie tables! But, maybe when it comes right down to it, it is the nice, patient, non-horn-honking, smiling, friendly, unpretentious people of Pittsburgh that get my vote.